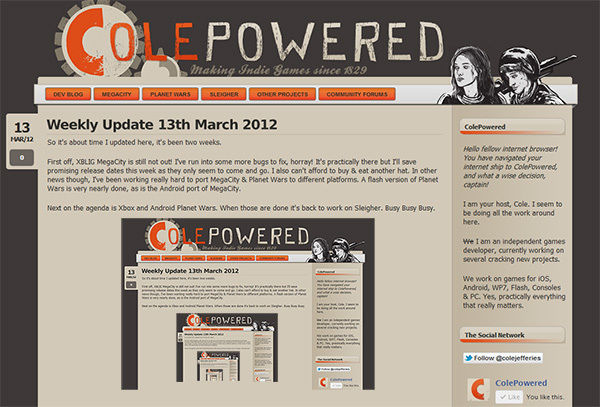 March 2012 – ColePowered Games Ltd.
Not much of a weekly update atm sorry, but this will have to suffice! What’s been in the works this week? I’ve been busy porting Planet Wars to Xbox. It’s going pretty well, and it should be entering its first playtest soon! The xbox version is the best so far, its core gameplay does seem more suited to a console than a mobile device, and it’s a lot of fun to play. Along with this, I’m be bringing the iOS version up to date with v1.3 which fixes the last of the bugs and adds a few improvements which I’ve since incorporated into the xbox version. Also, a flash version will be available and hopefully an Android version not long after. MegaCity for XBLIG is in review as I type. Fingers crossed nobody finds any more bugs as I’ve spent literally months making sure it’s more or less flawless. Speaking of multi-platform development, MegaCity for Android is going into testing this next week. It’s working on my old decrepit Xperia phone, so here’s hoping it should shine on newer Android phones & Tablets. Watch this space. I’m aiming to have both PW, MegaCity & Sleigher finished and released for all their intended platforms by the start of the summer. I’d like to add this is all possible with the hard work Clickteam are doing on their awesome XNA, iOS, Android & Flash exporters. So it’s about time I updated here, it’s been two weeks. First off, XBLIG MegaCity is still not out! I’ve run into some more bugs to fix, horray! It’s practically there but I’ll save promising release dates this week as they only seem to come and go. I also can’t afford to buy & eat another hat. In other news though, I’ve been working really hard to port MegaCity & Planet Wars to different platforms. 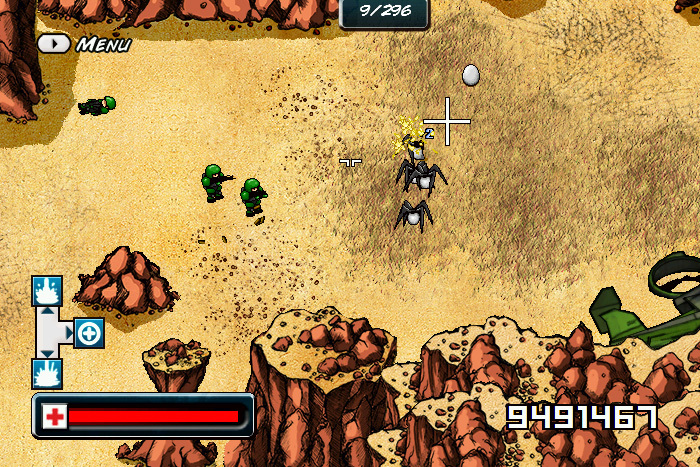 A flash version of Planet Wars is very nearly done, as is the Android port of MegaCity. Next on the agenda is Xbox and Android Planet Wars. When those are done it’s back to work on Sleigher. Busy Busy Busy. You might of noticed I’ve prettied up the site, I think it’s looking pretty spiffy now. 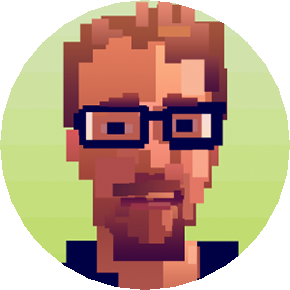 There’s also a nice new company logo to go with it which will appear in all my games from now on. I’ve also added a little forum for your inquiries.